With the coming and going of events earlier this month in Hamilton, Markham and of course big, bad, beautiful NYC—that’s a wrap...phew! 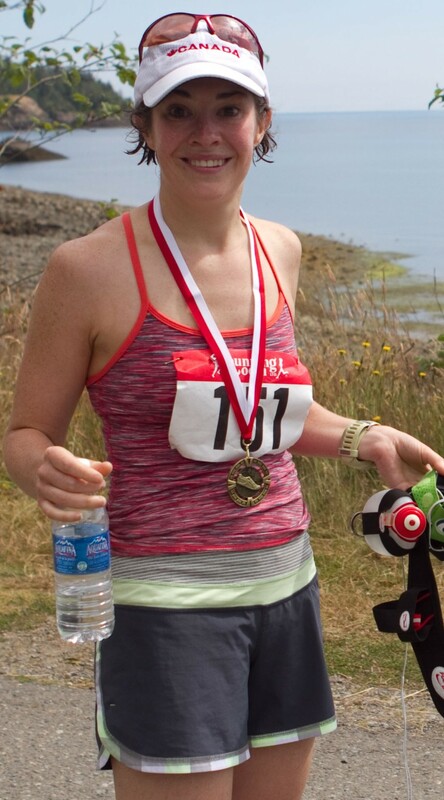 • June Barrett – 3:59 at Toronto Marathon...a Boston Qualifier in her first year of marathoning! • Ana & Dave Dennier – New MD runners, big shiny new marathon PBs at the Hamilton Marathon. Ana ran a 3:10 (2 min PB) and Dave ran a 3:18 (15 min PB). One happy (and fast) couple! • Stephanie Griffiths – 3:05 PB at Waterfront Marathon (2nd in age cat), as the 2nd of 3 marathons in less than 2 months (averaging under 3:10 for all 3!)...mind-boggling! • Linnea Humphrey – Ran 3:29 marathon SPLIT to close out a mindboggling 9hr58min Ironman PB in the Florida IM. 2nd in her age category, top 10 overall women (at age 44)...You go girl! • Lindsay Lalonde – it’s not often (OK, never!) that a runner we coach goes out and smashes our race day plan/prediction by 7 minutes, but that’s just what she did, debuting in 1:46 at the Toronto Half. What will she do for an encore? • Janine Moffett – 3:03 PB at Hamilton Marathon...3rd OVERALL woman. Wow! • Neil Stephenson – in June, he approached us never really having been a runner, and not even doing much exercise in general for years, and stated “I must run a marathon this fall”. After several attempts at remonstrating with him to change his goal to a 5K, 10K, or at most a Half, I realized “as crazy as it is, he’s going to try this no matter what”. So, after establishing some ground rules on how we’d proceed, I agreed to train him for the attempt. Long story short...HE DID IT! Completing the Toronto Marathon in just over 5hrs. Click here to read more of his incredible journey. • Andrew Smereczynsky – 3:25 at Waterfront Marathon. With a previous marathon PB of 3:33, he came to us for help with making it to Boston. After a season of textbook training, and beautiful race day execution, not only had he done that, but set an 8 minute PB in the process. Well done! • Glen Way – 3:04 PB at Hamilton Marathon. What a race...what a year! Over the past 10 months, Glen also ran PB’s at 5K, 10K, 15K, Half Marathon and 30km, ran the Boston Marathon, and did an 800km bike tour. To boot, he did all this in first time “dadhood”, since his son’s birth in February! 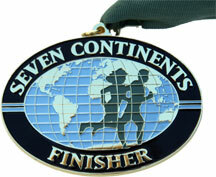 Congratulations to every Marathon Dynamics runner in 2010...let's dream even bigger for 2011! If there’s been a topic of hotter debate in the running community over the past 10 years (I mean other than the advent of running skirts and arm warmers of course), do tell! We’ve watched this phenomenon develop with mounting interest, but have wearily reserved judgment and formal opinion —until now (unless you count an interview I did this past summer for Glow Magazine, Shopper’s Drug Mart’s “Ad Rag”, entitled “Should You Bare All?” featuring a pic of shapely, bikini-clad women frolicking on the beach, which caught me some hell from my wife, who asked if this was our Tuesday morning Women’s group that I sometimes coach...lol!). As a runner, you’d have to have been marooned on a desert island (with no Blackberry/WiFi access), this past year or two, not to have read about, seen, or experienced the latest rage—barefoot running. There have been related predecessor movements (Pose Method, Chi Running) which embrace much of the same philosophy and result in much the same biomechanics, but none have reached the fever pitch, and inspired such hotly-contested debate, as barefoot running. We suspect it was the release of Christopher McDougall’s “Born To Run” book last year that brought it from burbling simmer to boiling over flashpoint. Note: for the now 3rd (and final) time, we are going to recommend strongly that if you haven’t read this book yet...DO! We promise it will at least change the way you think about running, if not the way you run (and even failing that, it is probably one of the top 3 all-time most entertaining books to read about running). As you might expect, there’s a very wide range of opinions out there, so what we want to do here is simply this: show you what it looks like, give you some straight-shooter facts on the subject, and provide simple guidelines if you want to try it. We’ll then leave it to you to decide if Nike Free’s or Vibram 5 Fingers go on your holiday gift wish list! • Shockingly, there is no evidence to support the notion that high tech running shoes reduce shock—and if you look at the incidence of running injuries in today’s running population (up to 2/3 at any one time), it’s hard to argue otherwise! • In a way, high-tech running shoes make our foot muscles weaker. In North America (and other economically-developed countries), we generally coddle our tootsies, from cradle to grave, thus depriving our feet of valuable sensory feetback, and stunting their natural ability to perform and protect us. It’s kind of like raising wild animals in captivity—they lose the ability to hunt, fight, and survive. • The perceptual illusion of running shoe safety leads to a self-fulfilling prophecy: as the aforementioned foot-weakening occurs, through the absence of barefoot adaptation and strengthening, it begets the need for external footwear support (expensive running shoes and orthotics). • Running barefoot leads to more of the “contact” variety of injury—rough surfaces and dangerous objects leading to painful scrapes and cuts from rocks, glass, etc. (and possible resulting infection). And the reality of the Canadian climate must be considered too—i.e. ice, snow, cold, etc. Find a convenient, safe place to try barefoot “locomotion”. An astroturf field is great, or a rubberized track, or a well-groomed natural grass soccer pitch, or grassy, open (broken beer bottle-free) field. b. Then progress to trying a few minutes of barefoot easy running within that 30 minutes (alternating with walk breaks), and finally to up to 30 minutes of barefoot running, with gradual increases in intensity and duration. c. Also try to go to more “minimalist” footwear (lighter, less midsole) for your “shod” shorter, and/or faster runs. The faster we run, the further forward (ie. toward the toe) our impact point moves, so this is already more like barefoot running. d. Too little research and/or even anecdotal evidence exists to suggest that today’s urban, North American runners should rush to trying to running or racing many miles on the concrete and pavement, without shoes. Be gradual and cautious, please. Don’t be like the fellow we saw barefoot at this year’s Midsummer Night 30km. With 2km to go, there he was, walking and wincing, carrying his Vibram 5 Finger shoes, one in each hand! Final Recommendation: even if you don’t want to try ANY actual barefoot running (and given Canadian winters, who can blame you...lol! 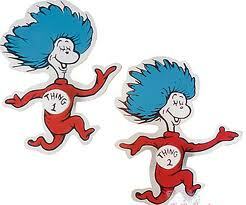 ), we strongly believe everyone should try to run “AS IF BAREFOOT” all the time. 4. use visual images like “running on hot coals” or “running on eggshells trying not to break them” to keep your stride light and quick, so that your foot just “scrubs” the ground. Kevin Sm ith is a coach with Marathon Dynamics, and an infrequent barefoot runner (but runs "as if" barefoot all the time), and is also a water running enthusiast, (hyper) active elliptical trainer, cyclist, inline speedskater, power walker, skinny gym monkey, and sometimes competitive runner. It is reported in the literature that 48% of all injuries involving athletes who participate in multisport events, occur during the running portion of the event. More importantly the greatest number of injuries occurs to the knee. The most common knee injury reported in the research is “Runners Knee” otherwise known as patella-femoral pain syndrome (PFPS). PFPS results in pain that originates on the front of the knee, with a gradual onset which progressively increases over a period of time. In general, PFPS occurs when the patella does not move or “track” in a correct fashion when the knee is being bent and straightened. This movement can lead to damage of the surrounding tissues, such as the cartilage on the underside of the patella itself, which can lead to pain in the region. When bending and straightening the knee, several structures surrounding the joint act together to cause the patella to run in a straight line within a groove formed by the Femur and Tibia. If any of the structures are particularly tight or weak, this causes an imbalance which can result in the patella mal-tracking. The most common example of this is when the outer structures of the knee including the vastus lateralis and iliotibial band are tight and the vastus medialis oblique (VMO) muscle on the inside of the knee is weak. This results in the patella moving too far laterally (to the outside) as the tight lateral structures pull it across and the medial (inner) muscles are not strong enough to control this force. Firstly, the athlete should consult with a sports medicine professional to assess the knee joint for proper biomechanics, and make recommendations for rehabilitation. Which muscles need strengthening? It is usually the Vastus medialis obliques, and the gluteus medius muscle that require strengthening. The aim of strengthening should be to encourage the patella to track in the proper position and to spread the forces throughout the joint. • It is essential that the athlete learns to isolate the vastus medialis (VMO) muscle and feels it being used for strengthening to be effective. • A muscle stimulator or tens machine can help in the early stages. • Perform 10-20 reps, gradually increasing the number. Hold each contraction for 3-5 seconds. • This exercise should be performed 3 to 5 times a day if pain allows. • Return to starting position and repeat. Aim for 2 sets of 10 repetitions initially and gradually increase. • The athlete drops down off a small step, and returns to the starting position. • Repeat 10 times and aim to perform a number of sets throughout the day. • The athlete lies on their side with the knees bent and feet in line with their spine. • Start off with 2 sets of 10 reps and gradually increase to 3 sets of 15. MARATHON DYNAMICS "FACES IN THE CROWD"
It was the middle of a family vacation. I hadn't run over 16 km since my previous marathon three months before, and somehow I talked myself into not only signing up for but actually running a marathon the following day. I am still unware of how all these events unfolded, but it was something about the words, "flattest Boston-qualifier course", "small field of contenders", and "original Haida pendant for winner" that somehow lured me into running the Totem to Totem Marathon (http://www.totemtototem.com) in Skidegate, Haida Gwaii. Many Canadians will have not heard of, let along visited, Haida Gwaii. This spring, the Queen Charlotte Islands officially changed their name back to the original First Nations name of Haida Gwaii. It is a collection of islands north of Vancouver Island, west of Prince Rupert, and south of Alaska that is now known primarily for its thriving sport fishing industry, although in the past was known for logging. It is home approximately 5000 people, although 50,000 visit each year. And it was on just such a visit that my parents, my husband and I had decided to see these quaint and beautiful islands for ourselves. As part of the annual Skidegate Days festival which highlights Haida Culture, all four of us had signed up for events, including the Half Marathon for me. On a boat tour with Moresby Explorers the day before the race, I met Vince Hemingson, the race organizer and a film-maker from Vancouver, and he hinted that, as a 4-time marathoner, I just might stand a chance of winning my first race. I toyed with the idea for the rest of the day, and ultimately switched my registration from half to full. Feeling nervous the following morning, the promised small field of contenders was about 30-strong, and this consisted of full, half, and 10 km contenders! I started out with two other women who I thought would be my main opponents, although they turned out to be runners in the half marathon, and when they turned around at their half-way mark, I was on my own. Hang on, except for that car with a smiling red-head hanging out the back filming me! Yes, for the first and only time in my running life, I had my very own pace car! Grady Lawlor, a budding Vancouver film-maker, had volunteered to film and create a documentary of the race in order to promote it to other runners. And I was center-stage. Having a pace car certainly has its advantages, such as your very own cheering sections on wheels, but it is not without its drawbacks, namely that it is impossible to duck into a bush to take care of business, and your weakened form and slower pace towards the end of the race are forever recorded for all to see. My finish time of 3:51 was enough for the gold, or rather silver Haida pendent by local artist Tom Greene, and was a happy surprise to my other cheering section, my parents Neil and Janet and my husband Bart. It made for a very memorable vacation and a great story for all my running friends. Totem to Totem is a beautiful, flat, ocean-side, there-and-back course along highway 16 north of Skidegate, starting from the Kaay Interpretation Centre. Race support was just as good as it would have been for a field of hundreds of runners. For a video of the race course click: http://vimeo.com/13814590. Thanks, Kevin, for all your support from afar since I have relocated out west! I ran my first marathon this year for 2 main reasons. The first and overriding reason was that I had wanted to do a marathon for the last 20 years and I had never done it, and this had always bothered me. The funny thing is, I don’t really know why I wanted to do one so much because I do not even like running! 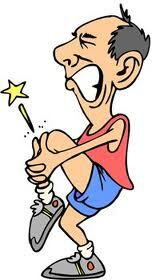 And I have never been a particularly good or comfortable runner (have always struggled with shin splints!). But for some strange and nagging reason, I thought that I really had to do a marathon some day. 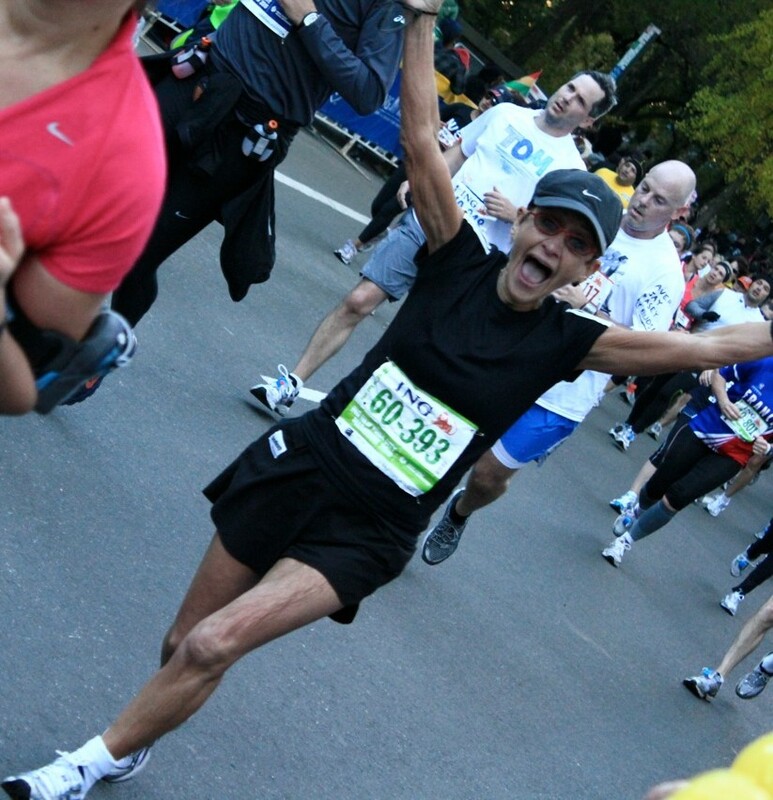 When Oprah did a marathon in her early 40s, I vowed that I would also do one in my early 40s. Not that I am a big Oprah fan or anything (I never watch her show) but I just thought: “If Oprah can do a marathon, then I can surely do one”. Well, my early 40s came and went, and still no marathon under my belt! Then I changed my goal to completing a marathon while I was still in my 40s. Well, I turned 49 this year, and so I knew that time was fast running out, and that I could not put off this task any longer. The other reason for wanting to complete a marathon was to fundraise for my 10 year-old nephew Ben who needed to raise money for a trip to Africa next year with Me to We to help to build a school in a poor Kenyan village. Being the terrible and unmotivated runner that I am, I knew that I would need some serious support and encouragement from a top coach who really knew what he was doing. More importantly, I needed to find someone who I liked and felt comfortable with and who could be flexible enough to deal with my unpredictable and hectic work schedule. So in early June, I googled the top marathon coaches in Toronto and I came up with 4 names of respected coaches. I spoke to all of them and most seemed quite helpful and willing to work with me, but Kevin seemed the least intimidating and most approachable, and so I ended up signing up with Marathon Dynamics for some one-on-one and group coaching sessions. I attended my first session at Central Tech on June 15 but then could not start regular training until around July 7 due to work pressures. I did manage to make most of the weekly sessions with coaches Kevin and Jackie and the gang for July and August, and I also miraculously managed to do 30K at both the Midsummer and Scotiabank events (Don’t know how I did these as I felt very unprepared, but I managed to muddle through). In fact, I felt very unsure of myself for most of the training period, and was also quite sporadic and somewhat neglectful as a trainee. I did not even feel comfortable to announce my intention to run the marathon until September 17. This was the day that I went public with all my friends and family, as I was not sure before then whether I could actually finish the whole damn thing! I had never run more than 30K before. Despite all this however, I am happy to say that I successfully completed the Goodlife Marathon just 5 minutes later than my target time of 5 hours. Of course, my time did not break any speed records and I finished 1764th out of a total of almost 2000 runners. It did not seem possible to me that there would be anyone out there slower than me—but there actually were quite a few! Anyway, all my family and friends were there at Queen’s Park and it was a great thrill to finally be able to say that I officially completed a full marathon—just like Oprah. I also raised $2000 toward my nephew's trip and so it was a great experience all around. 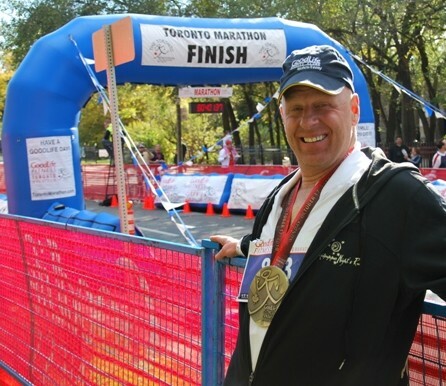 Going into the race, I declared with absolute certainty that the Goodlife Toronto Marathon would be my first and last marathon, having got it out of my system. You will recall my strong distaste for running, mentioned above. But shock of shocks, I actually found myself this weekend researching the entry requirements for the NYC marathon in 2011. So who knows, I might just try another one next year. Go figure! Kirstin Schwass: “Be careful...when your race is right on track—a train might be too!" We stood there for 4 minutes 11 seconds! There was nothing we could do but stretch. I was so deflated as I watched my sub 3:30 slip away. I feel sorry for the guys around me who were trying to get a BQ. When the gates finally lifted, I tried to make up time but by the last few km, the wind was from the front and I couldn't make my legs go any faster. The 3:30 pace bunny was beside me with one km to go but he looked at his watch and started picking up the pace. I couldn't do that even though I tried desperately to keep up with him. I finished in a 3:32:10 which is a personal best for me but not what I was capable of for the conditions of the day. I heard from a few people that the last km was 400 m too long but I haven't checked my Garmin on that one. I'm not looking for excuses...the fact is, I was "trained". 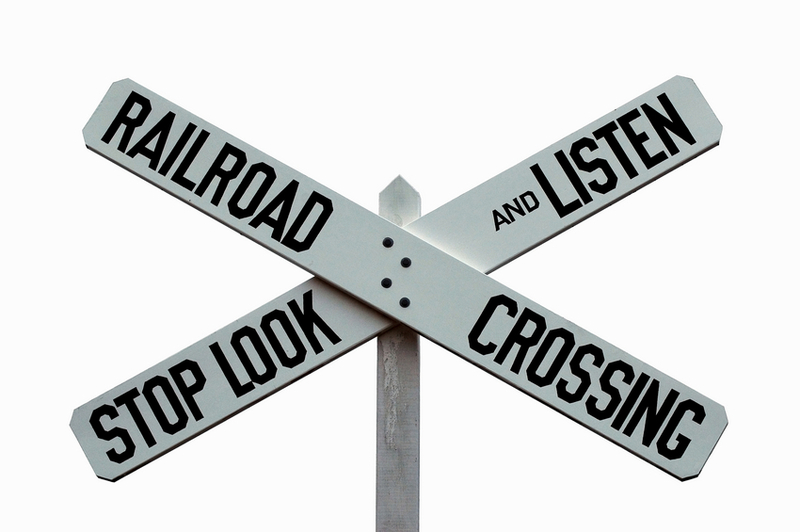 So the moral of the story is, just when you think you're on the right track, the train may be on it, too! I know I could've done a sub 3:30, so I guess that's what counts. Ken Moscoe: Third Time’s a Charm! We started working with Ken more than 2-3 years ago. 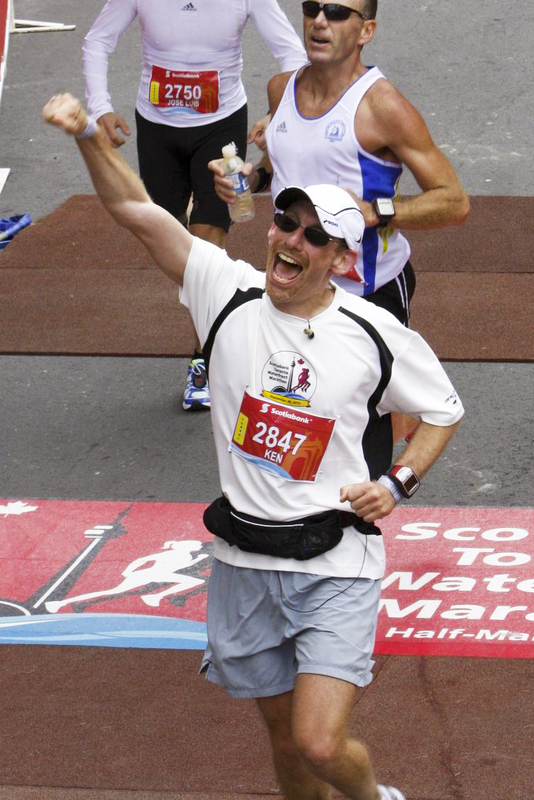 He was a 4hr+ marathoner who had visions of making it to Boston one day. Though we’ve worked with many thousands of runners over the past decade plus, few we’ve encountered have been as driven and dedicated as Ken, and few have applied the training principles, and adhered to the training plans we design, as well as he has. So it was with great pleasure and exhilaration that we saw him cross the Waterfront Marathon finish line earlier this fall—victorious at last! An early season foot injury, and the demands of a brand new job on top of his already busy family life, these would have been wothy excuses for him to mail in the training this season and just go for a “survival run” this past fall. “You really have brought me to a place I never thought I would see. I never imagined I’d be able to deliver the race result that I did this past year. I’m still in disbelief of the time in fact! You can add this to your list of runner’s who have vastly improved through your coaching. I really did employ the techniques/approaches that you taught me this season. Hard to believe – you took me from a 4:02 marathon where I thought I left everything I had on the course down to a 3:19 in 3 years – with a BQ to show for it as a bonus. Coach Kevin Smith: “You are your own best competition”, right? Sure, but this is ridiculous! On Thanksgiving Monday, with back-to-back turkey dinners still weighing heavy my hull, against better judgment, I decided to try my luck at a 5K race in Oakville. When all was said and done, I was happy with my time, and as luck would have it, I was pleased to see that the first overall runner atop the results was--Kevin Smith. Problem was...it wasn't me! Sometimes your shadow chases you--sometimes you chase your shadow, eh? I checked with a senior staffer at Sportstats and he believes that is the first race they've ever timed where the 1st and 2nd place runners both had exactly the same name! New Season Officially Starts Up December 1st--Let's Go! For those of you who’ve worked, run and played with Marathon Dynamics before, please note that as a standard benefit of any/all our levels of Personal Running Coaching, Marathon Dynamics now offers weekly coach-supported group OMP (steady state), LSD &/or Racepace opportunities around the GTA. Click here for more specific info on those coach-supported run groups. * Please note: A maximum of 30 runners will be allowed to register at each location...so don't miss your spot..register now! If you’d like to “tawk shawp” about your 2011 running goals, the best time to reach Coach Kev for a free consultation is between Nov 22-Dec 6 (10am-4pm). After that, things get a little time-pressured, So call sooner than later! THANK YOU MARATHON DYNAMICS SPONSORS! We are so grateful for the unflagging and ongoing support of Marathon Dynamics’ primary “Runner Health & Wellness” sponsors: Absolute Endurance (Toronto) and Physical Edge (Oakville and Mississauga) as well as WINsurance Sport Travel Protection. Make sure to visit their websites (click on logos) to check out all the awesome services and products they offer! That's more than enough running e-news crammed into one newsletter wouldn’t you say! We hope you found some useful info in there to make your running better, stronger, and most important, more enjoyable this coming season. Kevin, Jackie, Jennifer, Steve, Dera, John and Brant! MDI Newz - Winter/Spring Season Starts NOW!